Join the Team at Challenge! 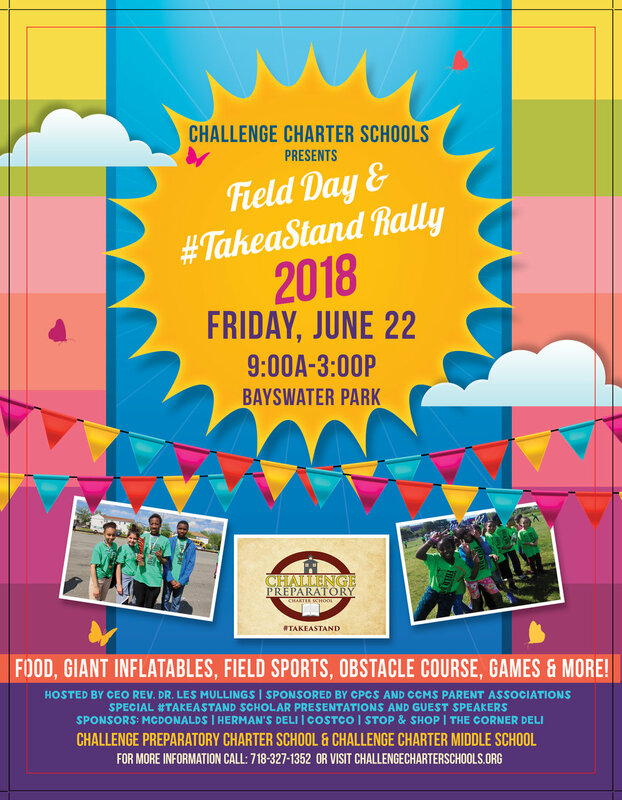 "Field Day is a long-standing tradition for Challenge Charter Schools focused on fun outdoor activities that bring our entire student body and staff together along with many valuable parent volunteers. It is a celebration day by nature. However, with the continuation of regular violence in our schools, I felt that our theme for the event this year needed to reflect our great concern for the safety of all students. Leading up to the event, I've asked our principals and teachers to engage our scholars in the theme through student projects. I look forward to how our scholars will communicate and respond to this important issue," said Dr. Mullings. Over 20 activity stations and food will be offered for 800 students, their families, teachers, staff and community leaders to enjoy. Local sponsors such as McDonalds, Stop & Shop, Herman’s Deli, Costco and Chipotle have offered to donate food and supplies for the event. Dr. Mullings will serve as host to community leaders and elected officials along with scholar presentations around the theme. Over 1500 people are expected to attend this year’s Field Day, and we encourage the entire CCS family to #takeastand with us. Please share the theme and do what you can to promote safety in our schools.